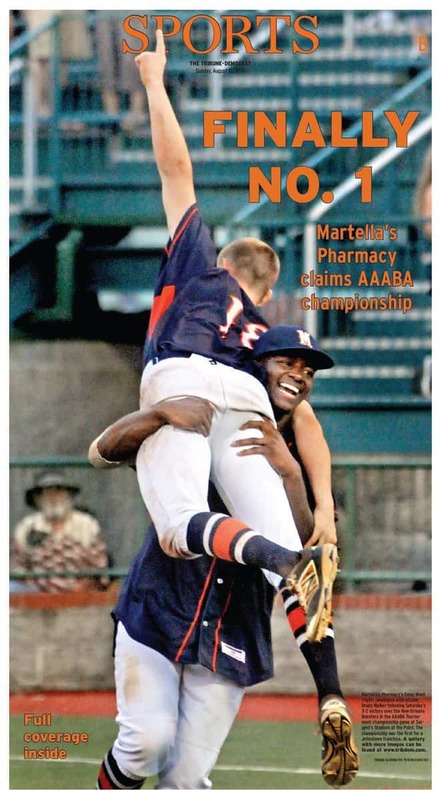 Martella’s Pharmacy defeated the defending champion New Orleans Boosters 3-2 in the championship game of the 74th annual AAABA Tournament on Saturday at Sargent’s Stadium at the Point. 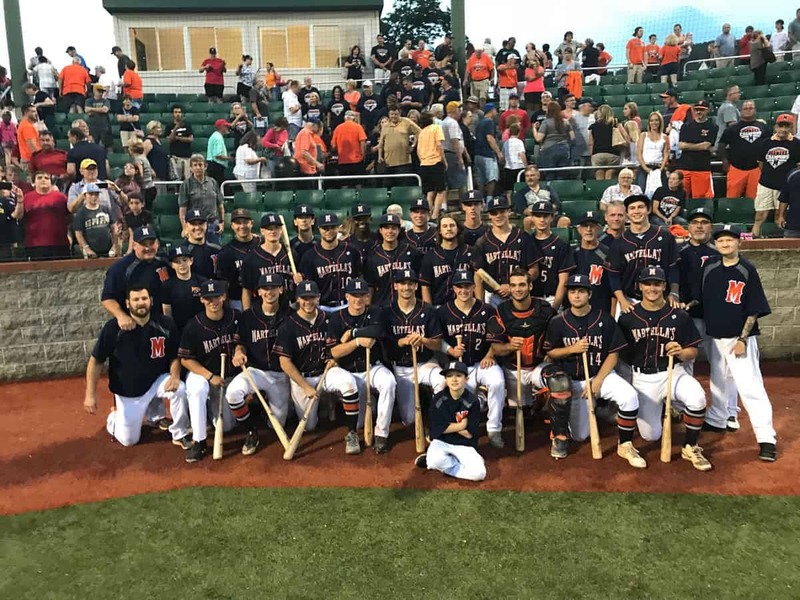 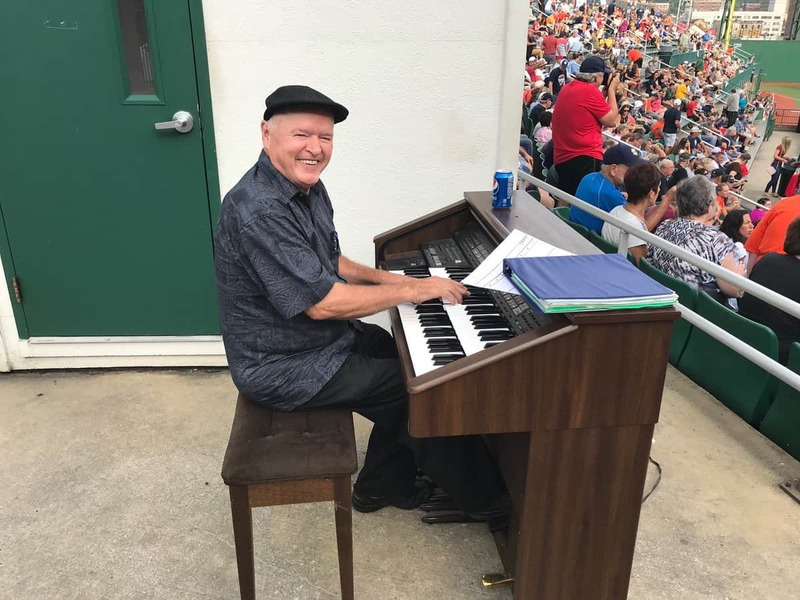 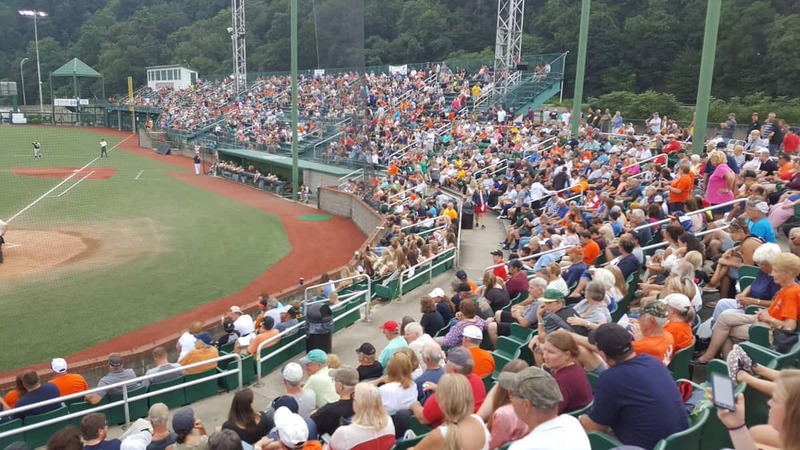 The victory gave the City of Johnstown its first AAABA Tournament title in the history of the event, which has been hosted by Johnstown all but two of the 74 events. 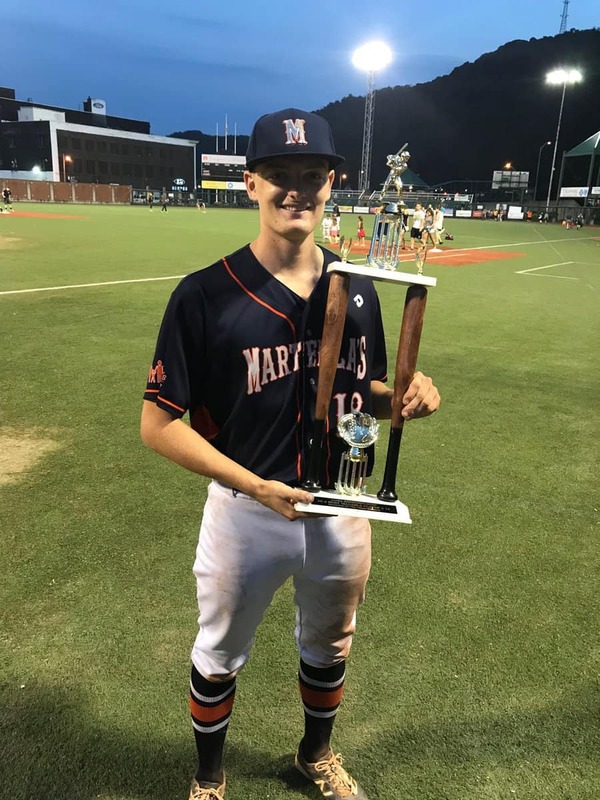 Left-hander Brady Walker pitched 8 2/3 innings for the win and T.J. Adams recorded the final out with the bases loaded as he induced a swinging strikeout on a 3-2 count. 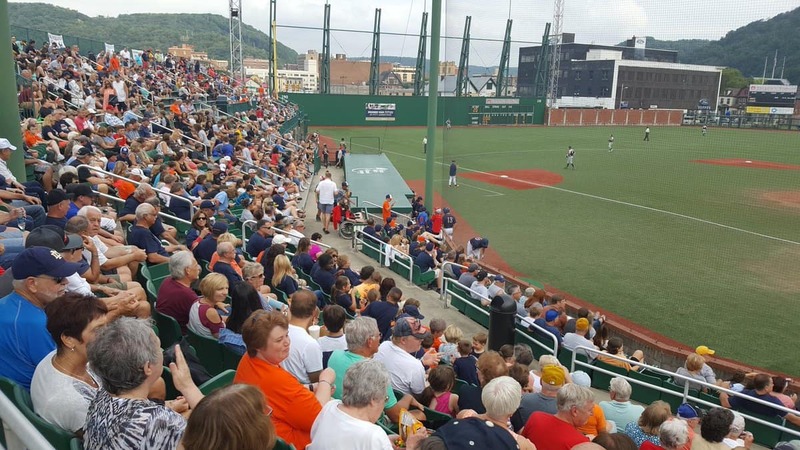 Johnstown plated three runs in the second inning, which was highlighted by Boston Bradley’s run-scoring single. 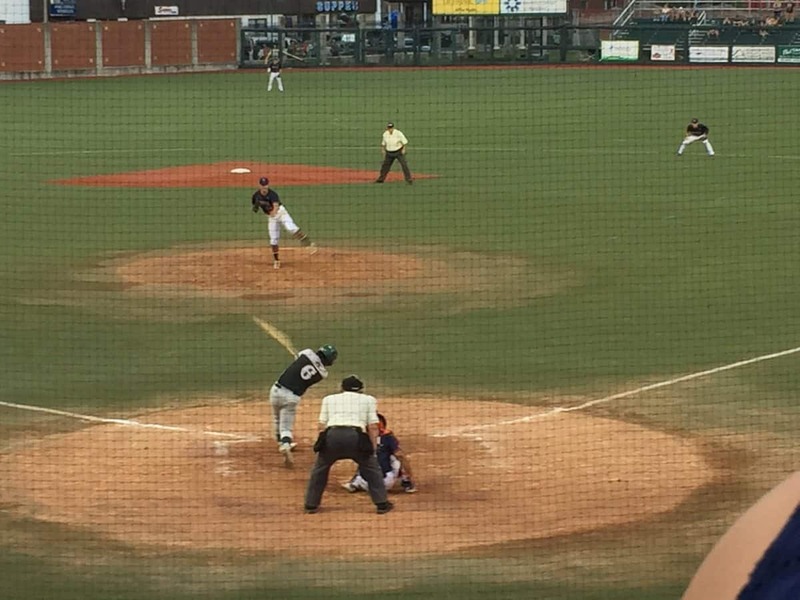 New Orleans’ Blake Freeman hit a towering solo home run over the brick wall in deep center field to make it 3-1. 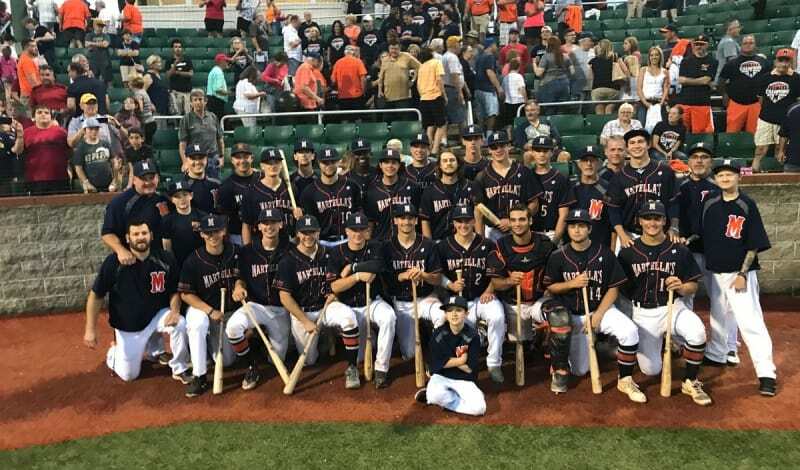 The Boosters rallied for a run on two hits, a hit batsman and a walk in the top of the ninth. 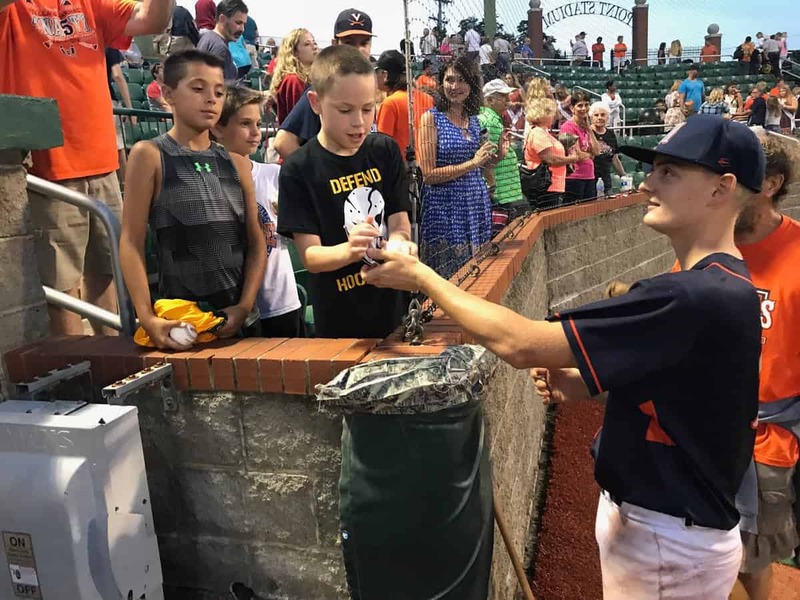 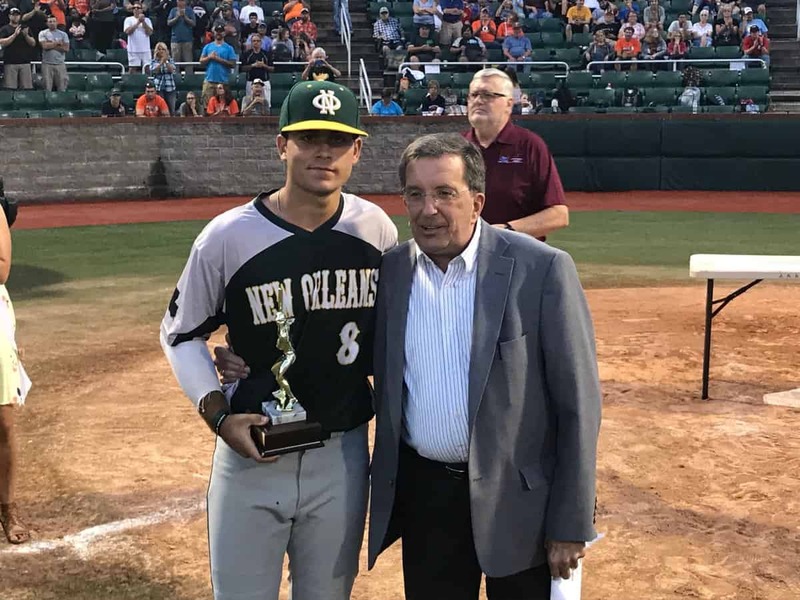 New Orleans’ Brandon Briuglio earned AAABA Tournament MVP honors. 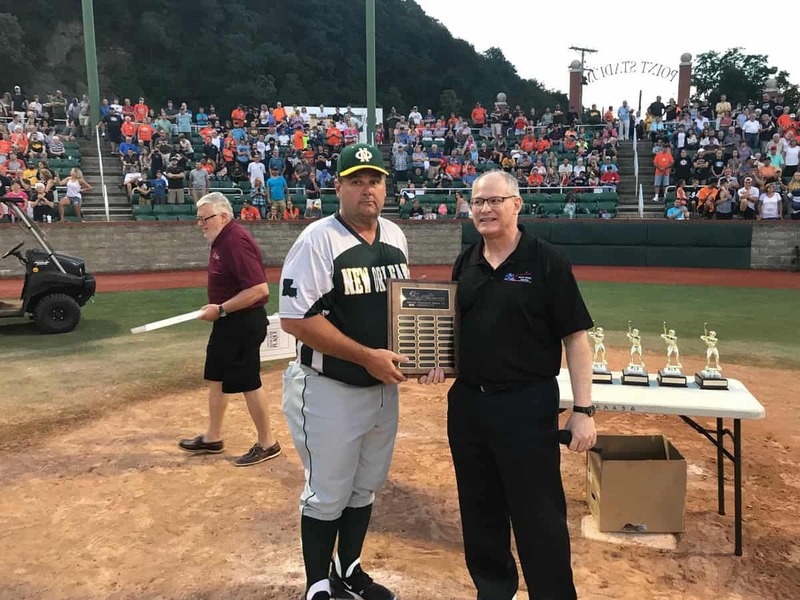 Johnstown’s Omar Ward was the tournament RBI leader with 11. 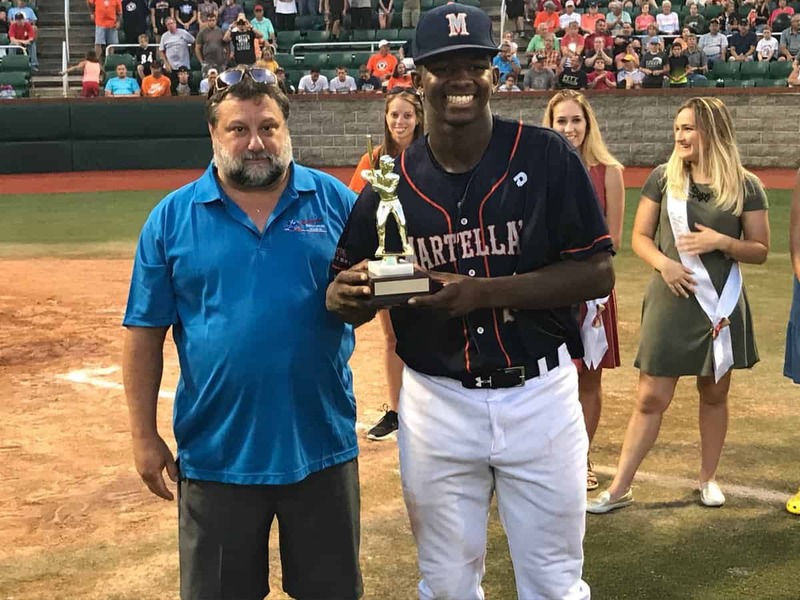 Martella’s Walker was presented the Tribune-Democrat Award to the local franchise’s MVP. 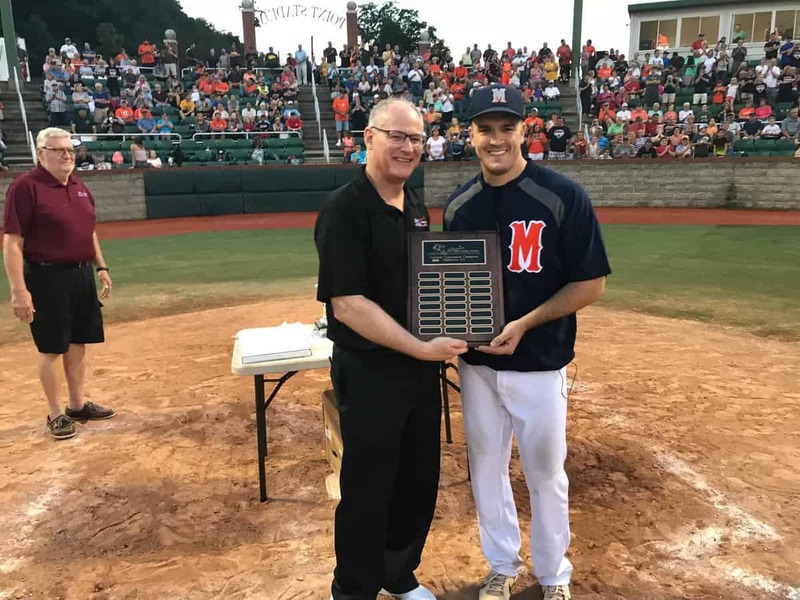 Youngstown earned the Sportsmanship Award. 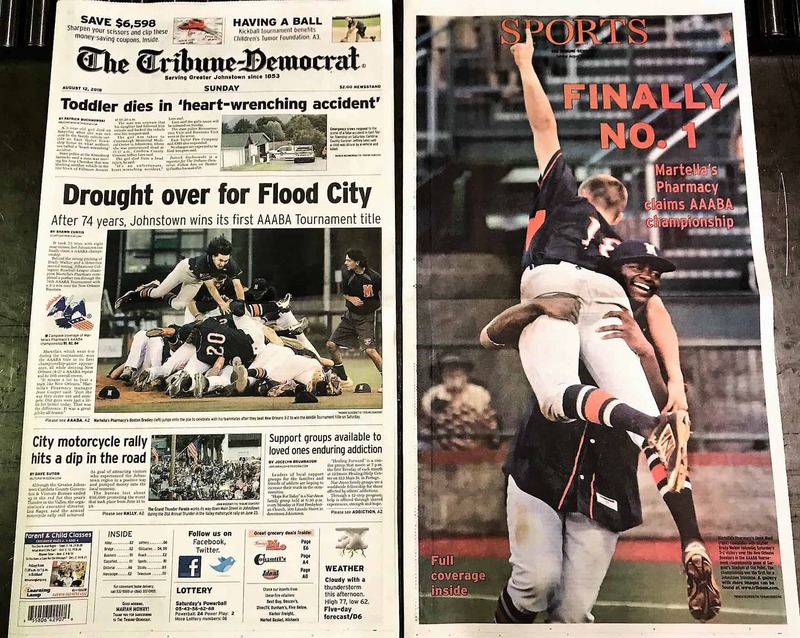 NOTE: Click on photograph to see full image.